Fostering a puppy is not easy. It’s not simply that you must live in a state of constant vigilance to ensure the puppy doesn’t act, well, like a puppy, by peeing on your kitchen floor, chewing up your favorite shoe, or escaping into the neighbor’s yard. What makes fostering a puppy so difficult is that you can’t unplug your heart. I feel like we’ve known Loki for months, yet he’s been in our lives just over two weeks. My husband, Kevin, and my two daughters saw something special in the six-month-old pup, when we met him June 16, at a local Pet Valu. He’d been rescued from a North Carolina kill shelter and brought to New Jersey by Catnip Friends Cat Rescue, but the group wasn’t having success finding him a home. We agreed to foster him, while Catnip sought someone to adopt him. 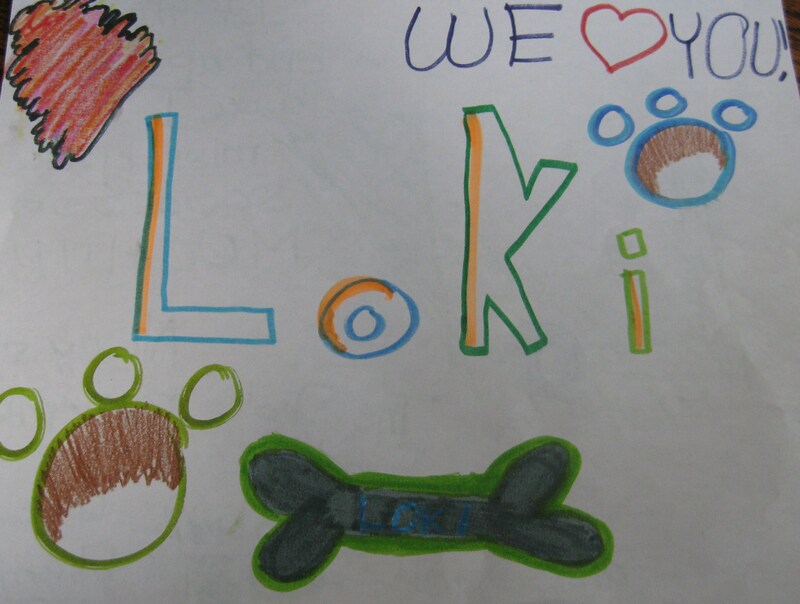 I quickly came to realize, however, that my daughters, ages 9 and 7, wanted to make Loki a part of our family. 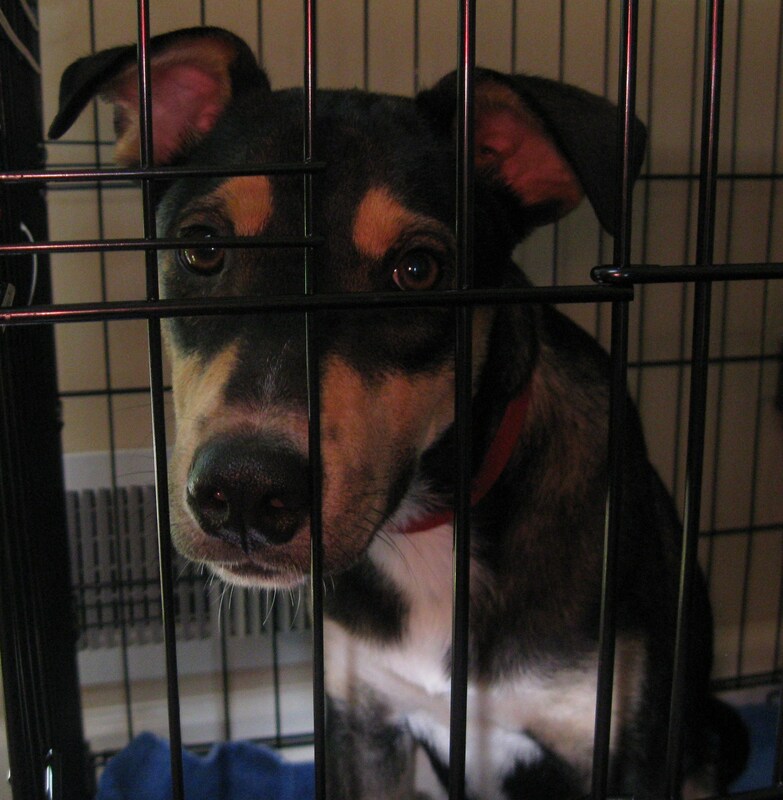 Kevin seemed amenable, as did Galen, our 20-month-old lab mix, also a Catnip rescue. I watched Galen quickly move from indifference to joy at having a playmate at her beck and call. 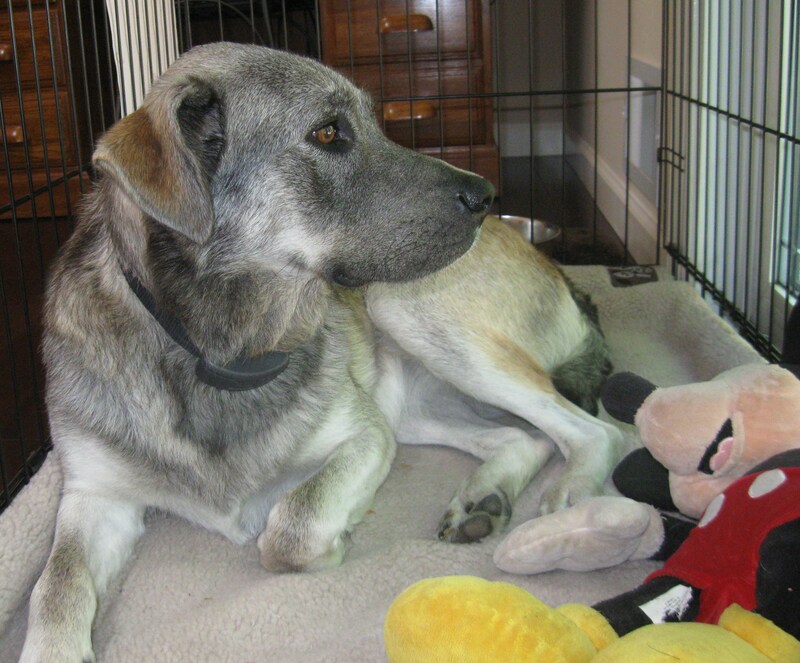 She didn’t even seem to mind that Loki stole every one of her toys, including the Mickey Mouse with whom she shares her crate (Mickey makes a great pillow for a dog’s weary head). I was the lone hold-out, unsure that our house was large enough for two dogs, even if our hearts were. A few days into Loki’s stay, I engineered a solution that works for me and that my girls, despite tears, are learning to live with: My mom and stepdad adopted Loki. The thing is, there was no way I could return him to the rescue group; he had already been through so much. Just a month before we brought him home, Animal Control was set to kill him. It says so right on his intake form: “Release Date 05/15/2012.” “Release” is a euphemism for euthanasia. Loki seems very happy in his new home. He has a large tree-filled yard to romp in, lots of sticks to chew on, and my mom is already spoiling him: In the evening, Loki settles into a prime spot on the couch right next to her. As for fostering, I am in awe of those who do it. One of the co-founders of Catnip told me that fosters are the life-blood of a rescue organization. Perhaps, we’ll try again. The need for foster families is great. This entry was posted in adoption, dogs, fostering, Galen, Loki. Bookmark the permalink. Aww such a cute letter Dhani!